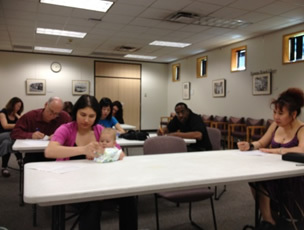 The Second Edition of Ecole Jean-Jacques Rousseau French Dictation 2016, called also « la Dictée de la Francophonie », was held at the Hampton Libray Branch in Oak Hills in South Austin. 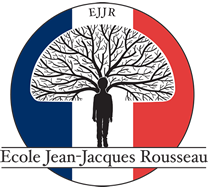 In collaboration with the Austin French Library, Ecole Jean-Jacques Rousseau participated at the Annual French Afternoon Event with the French Dictation. This year, the Dictation was of an intermediate level for Francophile Adults for whom French is not their native language. The Dictation was titled “Les Ambassadeurs de La Paix”. Congratulations to all participants and the winners of the 2016 Francophile Adult Category: Alice-Michou (1st Place), Debbie Odette (2nd Place), Vanessa Canac (3rd Place) and Sveltane Tsoi (4th Place).